Gypsy crowns are exquisitely fashioned for the royal eloquence of the queen but priced for everyone. Available in gold or silver with several color options. A beautiful and mystical crown. This style ties in the back making it transform into a necklace or into a crown. Tying the ribbon in the back is a feature which makes one size fit all. A truly versatile piece. Available in silver and gold and in various colors. Beautifully handcrafted tiara with a single stone representing the strength of a protector. Beautifully handcrafted crown symbolizing the zodiac sign, significance of 3. With saturn on its current path today is a great day to have one of these. Available in silver or gold and in various colors. Beautifully handcrafted crown suited for the royal elf inside of you. A matching colored ribbon makes fitting easy. One size fits all. Available in silver or gold and in various colors. 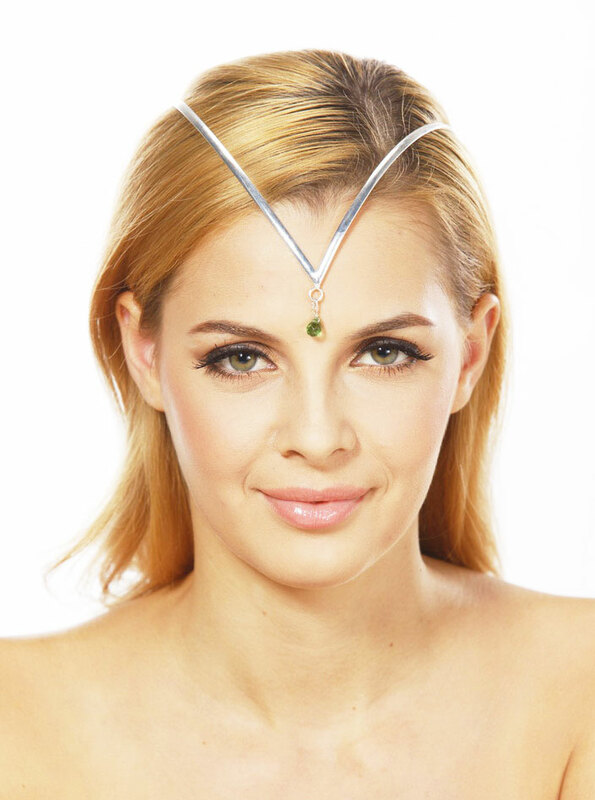 This tiara is quite versatile and can be used as a necklace as well. The rose and ribbon tiara ties in the back making one size fit all. Available in silver or gold and in various colors. Handcrafted tiara with matching colored ribbon to make one size fit all. Available in silver or gold and in a variety of colors. Treat yourself! A perfect accent to any outfit. Available in silver or gold and in various colors. Beautiful yet simple. A headpiece which could be passed down from queen to princess. Available in gold or silver and in various colors. Beautifully handcrafted tiara suited for the princess inside of you. Available in gold or silver and in various colors. The rose garland tiara adds a perfect accent to any outfit. Available in gold or silver and in various colors. This tiara ties in the back making one size fit all. Beautifully handcrafted crown suited for the royal elf inside of you. The matching colored ribbon ties in the back making one size fit all. Available in gold or silver with several color options to suit your needs.